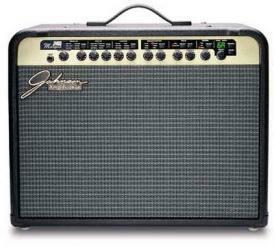 Johnson’s Millennium amplifiers have set a good standard for what a digital modeling amp should be. While the Marquis is something of a scaled-down version of the Millennium, it retains much of what makes the amp noteworthy, resulting in a user-friendly amplifier with excellent voices overall and flexible, wide-ranging functions. The Marquis eschews the Millennium’s multiple LED and LCD screens for a single LED readout showing which preset is on call. Good old-fashioned knobs—master volume, gain, treble, mid, bass and level—remain, along with dedicated buttons with which to scroll through the amp voicings and effects, and platform editing chores. 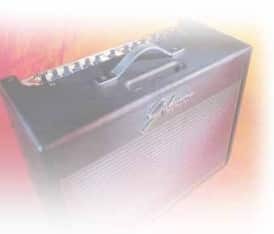 The amp voicings have been reorganized into three groups of six (American, British and Johnson), the built in tuner is gone and the effects-processing circuitry has been simplified too: one 12AX7 does the work of the Millennium’s two, and the power output has been scaled down to 60-watts in mono or 120-watts in stereo. Surprisingly, MIDI implementation is gone as well, leaving you with 27 editable factory presets recallable from the front panel rotary knob via optional foot controllers. As mentioned before, the JM60 comes with a single Eminence 12-inch speaker and delivers 60 mono watts in this configuration. By plugging in the J112 satellite speaker cabinet, the output is double to 120 watts stereo. The headphone jack, like the Crate’s, doubles as a speaker compensated direct output. It won’t automatically shut of the speakers, which is smart, since using it as a direct output usually means that you’ll still want to hear what you’re playing. Instead, the speakers are disabled with a recessed switch. The effects send and return points are accessed with two stereo ¼-inch phone jacks and, at 680 ohms out and 15k ohms in, are intended for use with rackmount effects. The Marquis’ 27 presets show off it excellent modeling circuitry and adds enough effects to demonstrate how wide ranging and detailed its possibilities are. The onboard effects consist of three groups (Mod/Pitch, Delay and Reverb) that, like the amp voices, are accessible by scroll buttons. The chorus was somewhat weak, but the tremolo and vibrato were quit usable. The phaser and flanger both dishes out plenty of thick psychedelic swirl, while the pitch/detune went a long way toward beefing up some of the more aggressive settings as well as providing that trademark Digitech parallel harmony. (Johnson and Digitech are both owned by Harmon International.) The delay flavors consist of a high-frequency-suppressed analog, a clear and amazingly regenerative delay and “Ping Pong,” which sends the delay bouncing back and forth in hard stereo separation. The reverbs (plate, hall and spring) are all excellent. 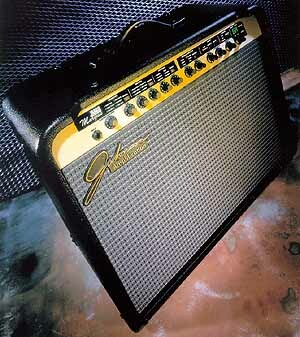 The Marquis’ amp modeling is largely excellent and earns high marks for nailing some of the more difficult tube tones. This could have something to do with the fact that they’ve chosen to keep one 12AX7 tube in the circuit. For example, the “Class A Clean” and Class A Dirty” both had the warm, fuzzy bottoms and grainy mids one would hope for, and the “Boutique” (based on a Matchless DC30) was nothing short of jaw-dropping in its huge range of dynamics via pick attack. The Fender clones were spot on, although a little more grain from the “Tweed” would be nice. The aggressive metal voicings, including the Soldano-inspired “High Gain,” the requisite Marshall models and Johnson’s own “Saturated Tube,” “Overdrive” and “Metal” settings, all had punch to spare. In fact, Johnson’s forte is in the bottom, where notes are felt in the groin rather than heard. 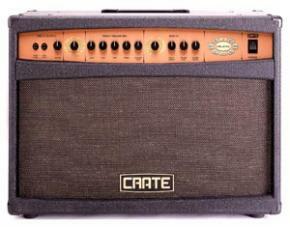 The only setting which seemed to suffer form over-bodacity was “High Wattage” (based on a Hiwatt S50LC), which never quite mustered the high-end crackle of the original. The Marquis delivers a heap of high quality and tones and effects in a very attractive package. If you don’t miss the MIDI implementation, the Marquis could be your pro-level workhorse. I’m looking for a Johnson J8 foot pedal switch. I am resident in Cape Town. South Africa.